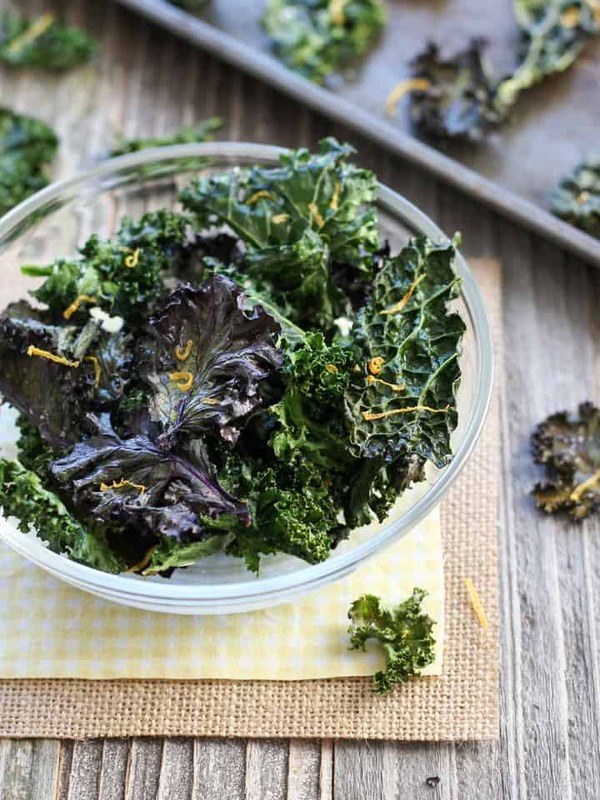 Toaster Oven Kale Chips are a healthy way to satisfy your crispy salty snack cravings. Try this easy single serving recipe, with step by step instructions included! If you’ve never had a Kale Chip before and think eating kale feels like “your mouth is being assaulted by a giant tree” (vivid description courtesy of Buzzfeed’s Christine Byrne) don’t worry. 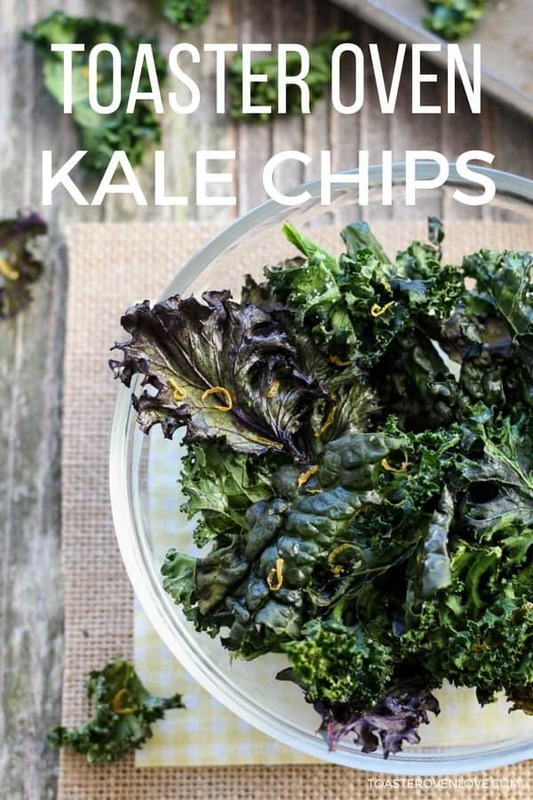 These baked Kale Chips have a completely different texture than raw kale. That’s because kale “Chips” are not crunchy like potato chips. Instead, they’re crispy, flaky, light, and taste fantastic in a creamy Sriracha Egg Salad Sandwich. So what do you say, wanna give them a try? And if you’re feeling adventurous we’ve put together a little recipe roundup at the end of Fun & Funky Flavored Kale Chips you’re going to love! Preheat toaster oven to 300 degrees F and place baking rack in the lowest position. Wash kale leaves and dry completely. Remove thick stems and large ribs. Chop or tear leaves into similarly sized pieces. 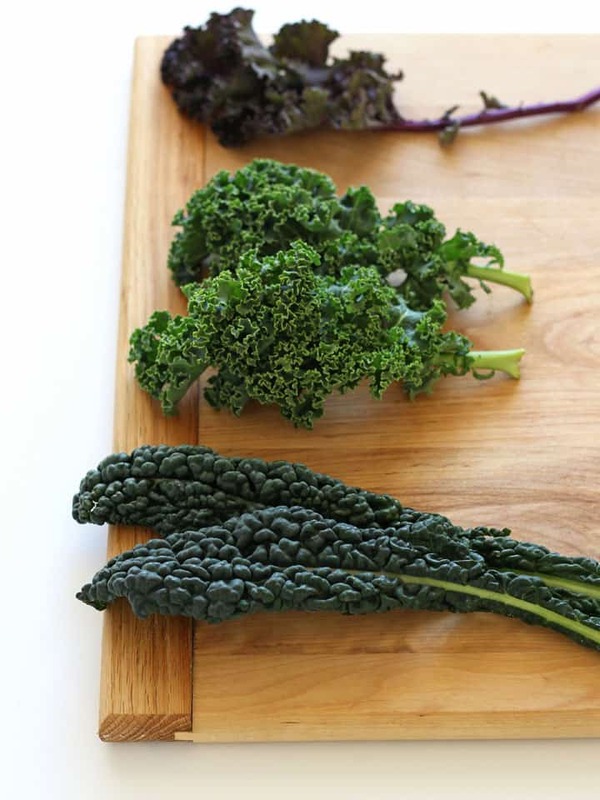 Arrange kale pieces on a cookie sheet and mist with 2-3 sprays oil. Rub pieces around cookie sheet to coat bottoms with the sprayed oil. Make sure pieces are spaced apart and not touching. 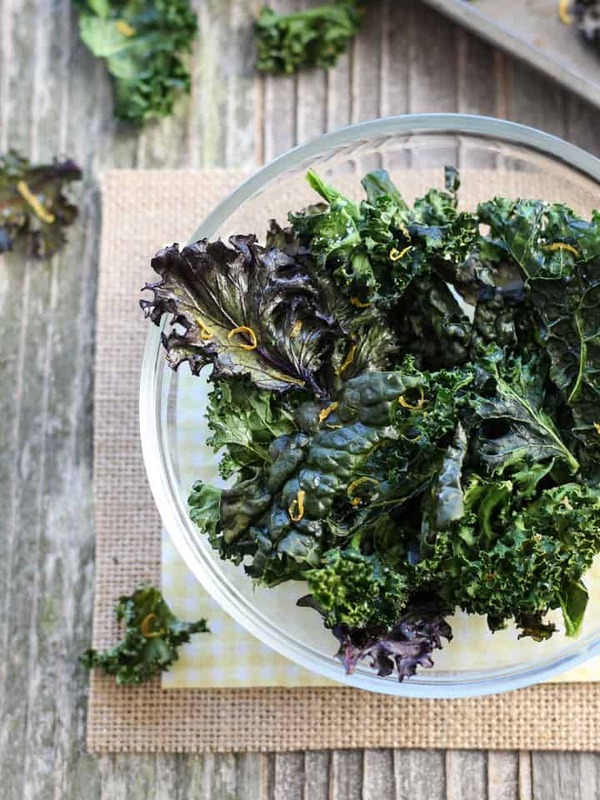 Sprinkle kale with sea salt and lemon zest (or your favorite seasoning blend). Bake at 300 F for 6 minutes. Rotate pieces from back to front and bake an additional 3 to 5 minutes until leaves are crisp and dry. Allow kale chips to cool on the cookie sheet for 3 to 5 minutes and enjoy. Step 1. Preheat your toaster oven to 300°F and place the cooking rack in the lowest position. At a minimum, you need the largest baking sheet that will fit in your toaster oven, a kitchen towel, oil, and salt. 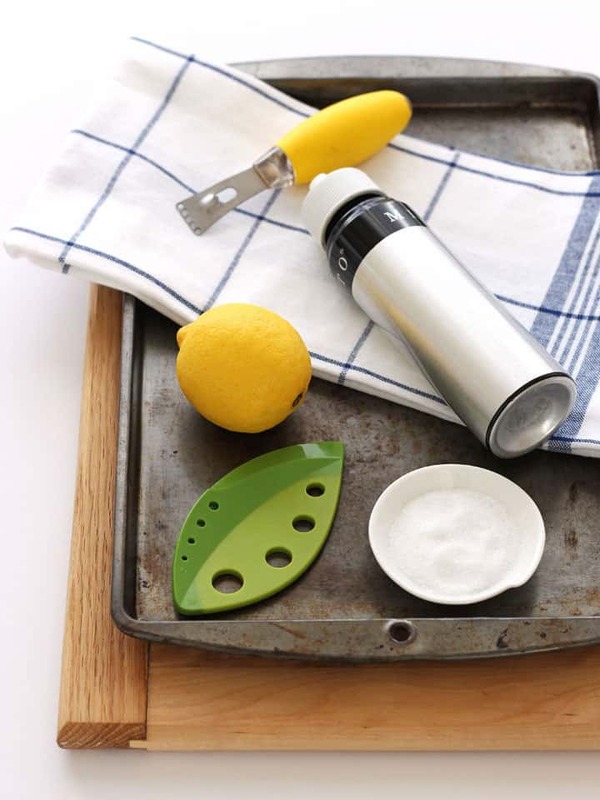 A sharp knife or handy herb stripper. Step 3. Gather your kale. For a single batch of kale chips choose just one large or two small leaves of kale. Red Kale or Red Russian Kale: Light floral flavor with a hint of red cabbage sweetness. Makes colorful flaky chips. Curly Kale: Slightly bitter with a grassier flavor. Makes very flaky and delicate chips. Lacinato/Tuscan/Dino/Dinosaur Kale: Earthier with a slightly sweet flavor. 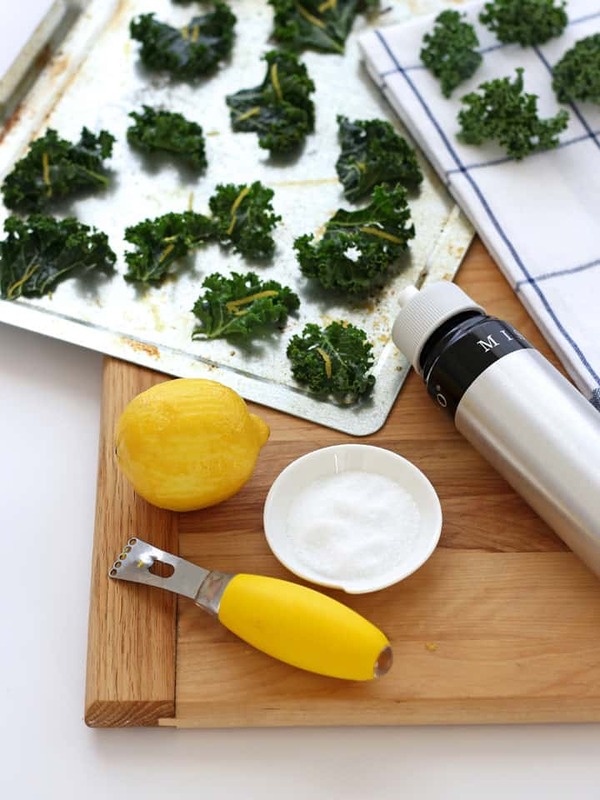 Makes the sturdiest kale chips. Step 4. Wash and dry your kale. Whether you do that before or after de-stemming is up to you. Just make sure to dry the kale very well. Water = steam which means soggy, not crispy chips. Step 5. Remove the kale’s woody stem and any large ribs. You can do this with your hands, a knife or an herb stripper. 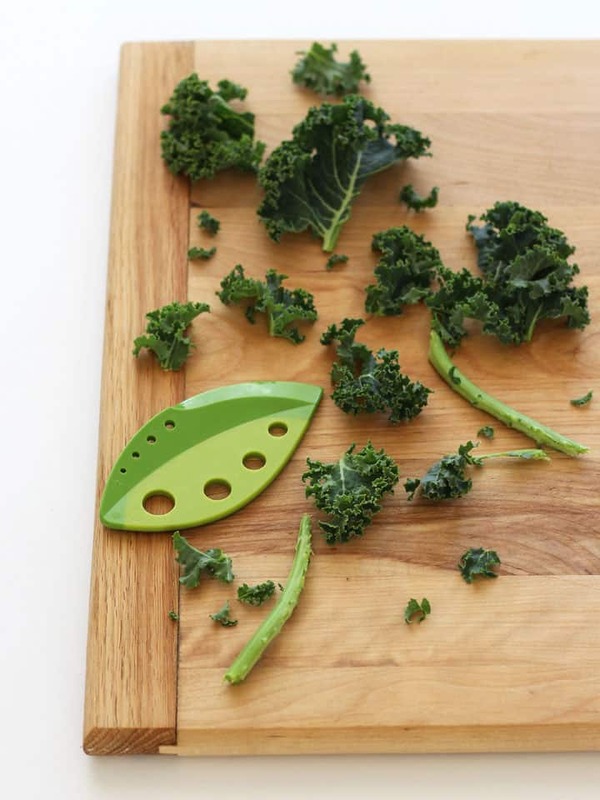 The herb stripper is a little over-kill for a single serving of kale chips but super useful for prepping a giant kale salad. Also, it’s just fun to use! Next, tear or slice the leaves into similarly sized pieces. Step 6. Arrange the kale in a single layer on the baking sheet with room between the pieces. You can use a toaster oven silicone baking mat but the oil alone does a good job keeping the chips from sticking. Next, lightly coat kale with a few sprays of olive oil. I used to use a re-fillable oil sprayer but it kept getting clogged. These days I use an olive oil spray we get from Trader Joes. You will get over-spray onto the sheet. Don’t worry, that’s actually a good thing. 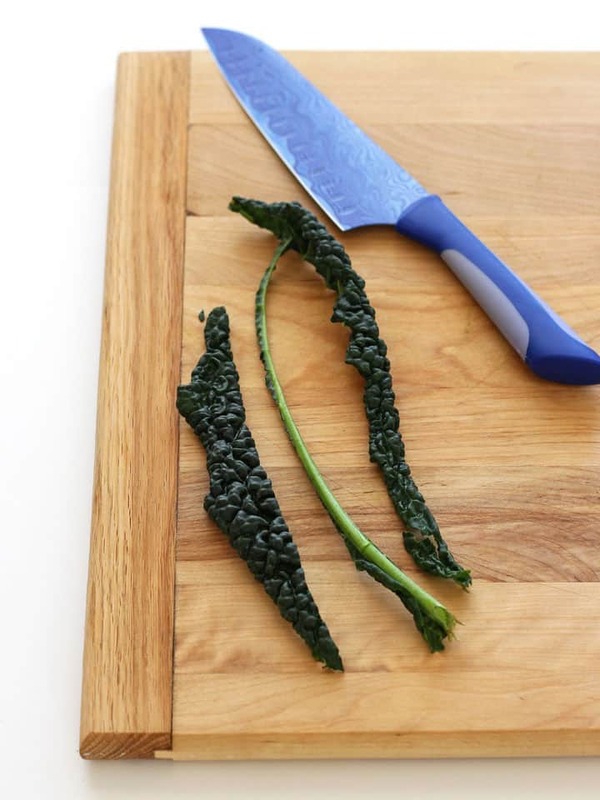 Coat the undersides of the pieces with the excess oil by quickly taking your hand and rubbing the bottom of the kale pieces on the baking sheet. 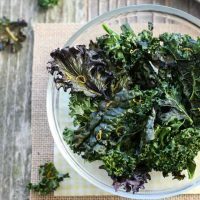 *If you don’t have an oil sprayer, place the kale in a bowl with 1/4 to 1/2 teaspoon oil and rub the leaves well to coat. Then arrange on the baking sheet. Lastly, sprinkle the kale with fine sea salt and lemon zest or your favorite seasoning blend. Step 7. Bake at 300°F for 6 minutes then rotate the chips front to back. Continue baking for 3 to 5 minutes more until the leaves are crisp and flaky. It’s okay if they are just slightly browned around the edges but watch them carefully as the chips will burn quickly. Let your chips cool on the baking sheet for about 5 minutes, they will crisp a little more as they cool. Then, enjoy gobbling up your toaster oven kale chips! A platter with 4 or 5 flavors would be a great Super Bowl party appetizer and a conversation starter for sure! It’s so funny… the one time I tried kale chips I hated them soooo much. My bf got them on sale at this store, and they were like, cranberry orange flavor and just so bad. I was telling one of my friends about it a week or two ago, and they were like, “Amber, seriously, you have to try regular kale chips, you will LOVE them. Flavored ones take some getting used to if you haven’t just had regular ones yet.” I didn’t realize how easy they were to make! I’ll just make some 😀 These look great! Awesome photos, too! Thanks Amber! Cranberry orange kale chips sound pretty wild and I consider myself a fairly adventurous eater 🙂 You’ve got a good friend there. FWIW I would start with the Dino kale. Years ago we made our first ever batch of kale chips with the curly kale and it was just alright. Then we tried the Lacinato/Dino kale and it hooked us. These sound amazing! And anything that (a) makes my life easier or (b) involves kale chips is good by me. 😉 And thanks so much for including my BBQ Kale Chips in your list!